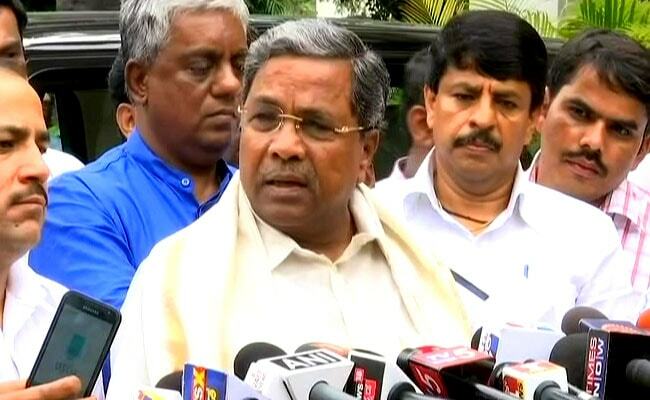 Election 2019: Alleging that EVMs were rigged during the 2014 general elections, Siddaramaiah said it could happen this time but "not all EVMs can be tampered with"
Alleging that EVMs were rigged during the 2014 general elections, Mr Siddaramaiah said it could happen this time but "not all EVMs can be tampered with" and therefore, it would be impossible for the BJP to get a majority at national level in the current elections. "All political parties met the Election Commission several times and raised concern about EVMs but it did not act on the complaints. I think the EC is under pressure from the Modi government," Mr Siddaramaiah told PTI in an exclusive interview. Asked if the time has come to re-assess the way EC officials are selected for conducting fair elections, Mr Siddaramaiah said, "For this, the Constitution has to be amended. The Constitution emphasises on conducting 'free and fair' elections and the the EC should fair and unbiased." Ballot papers need to be re-introduced as there are continuous challenges to the fairness of the election process that would undermine the trust of the general public as well as the candidates in the EC''s impartiality.